BTS & BLACKPINK created "K-Pop's Holy Weekend"
The weekend of April 12-14, 2019 will forever be known as "K-Pop's Holy Weekend" The Kings and Queens of 3rd Generation K-Pop just had their biggest weekend in the U.S, making them the first K-Pop artist to conquer the American tv media, airways, and live performances, as well as breaking history records. 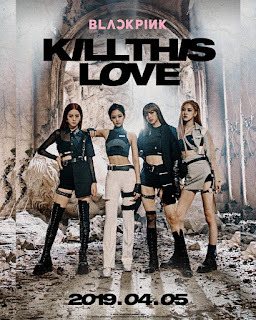 They recently released their comeback titled "Kill This Love", which took over K-Pop world by storm. In just 24 hours, their music video received 56.7 Million views, making them the first K-Pop female group to break the 24 hour YouTube record. It feels like BTS is breaking records every day, but here is the top record BTS made. They became the first K-Pop group to reach 74.6 Million views in just 24 hours, with their MV "Boy With Luv". With all certainty, we can say this was the biggest weekend in K-Pop history we have ever seen.